Salman Khan starrer Dabangg has done the impossible. Dabangg has shattered the opening day box-office record of Aamir Khan starrer all time hit "3 Idiots". 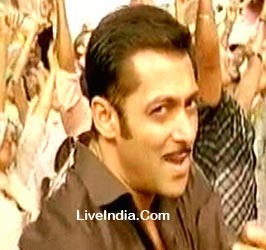 The film has hit the box-office as a hurricane and took even the Dabangg believers by surprise. "3 Idiots" had a collection of 13 crores on Day One of its release and that till today was the highest grossing opening day collections for any bollywood movie. 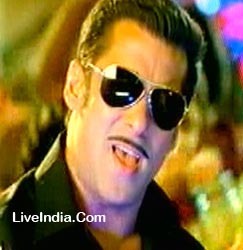 Salman Khan starrer Dabangg has broken past that mark as per the first reports out of tinsel town. The exact numbers are still getting tallied as we speak. With Eid festivals and Ganesh Chaturthi this weekend, the movie is set to do record setting business over its first weekend. Though beating "3 Idiots" is still a tall task with the movie raking in astronomical figures over last year's christmas. The total gross for "3 Idiots" was roughly 38 crores. But if any movie can tear that record down, it is Dabangg. The movie is set to do almost 40 crores of business over its first weekend alone. Now its wait and watch for Saturday and Sunday as Dabangg has hit the Indian box-office like a hurricane! Dabangg means fearless. Set in Laalgurj, Uttar Pradesh, this is a story of Chulbul Pandey (Salman Khan), a totally fearless but corrupt police officer with unorthodox working methods. But even the most fearless at times face a tough fight with their innermost demons. Chulbul has had a bitter childhood. His father passed away when he was very young after which his mother Naini (Dimple Kapadia) married Prajapati Pandey (Vinod Khanna). Together, they had a son Makhanchan (Arbaaz Khan). 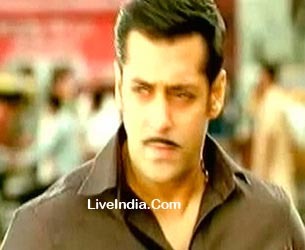 Prajapati favours Makhanchan which does not go down well with Chulbul. He decides to take control of his destiny and detaches himself from his stepfather and half brother. His sole attachment is his mother. However after his mother’s demise and an unsuccessful attempt to mend wounds, Chulbul snaps all ties with his stepfather and half brother. Rajo (Sonakshi Sinha) with her unique perspective of life enters his world and turns life upside down. Chulbul starts to see life more positively and also gets sensitised to the value of a family. But his detractors especially the dubious Cheddi Singh (Sonu Sood) have their own vested interests and emerge as spokes in the wheels, putting one brother against the other. Makhanchan ends up carrying out act oblivious to the consequences. When he realises he has been used, he turns to Chulbul. 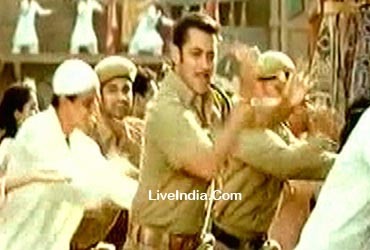 Will Chulbul take his extended hand? Dabangg is the story of a corrupt police officer played by Salman Khan and highlights the flaws and loopholes in the system. Salman Khan plays a shifty cop in this movie. Dabangg attempts to reveal the problems which keep the system from working effectively. The film focuses on the blatant flouting of law in the Indian states of UP and Bihar. It pinpoints the role that the police force has to play in cementing bad law and order practices.